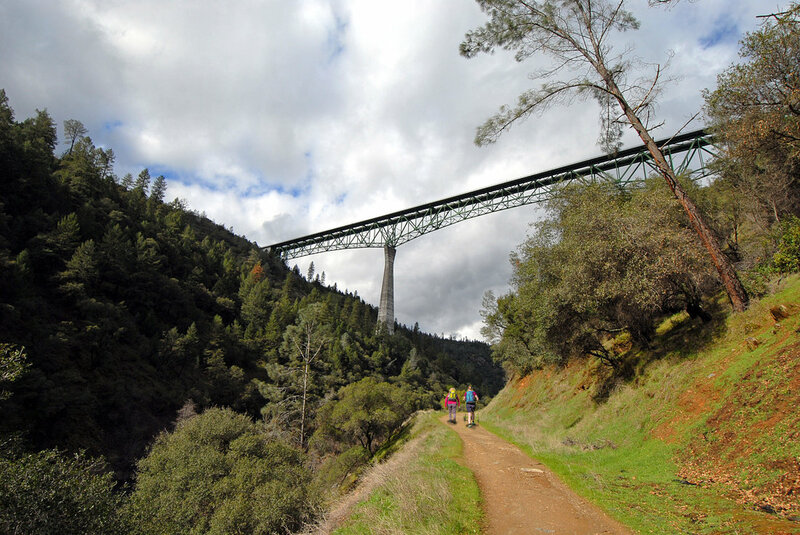 Help shape the future of Auburn State Recreation Area by filling out the online survey State Parks has provided for the new General Plan. The “ONLINE ALTERNATIVE QUESTIONNAIRE” can be found part way down the page at http://www.parks.ca.gov/?page_id=24325. By clicking on the survey link, a multi-section questionnaire will pop up. You may choose to fill out any or all sections or “Management Zones.” PARC has created a list of survey recommendations for your consideration. The Auburn City Council adopts a resolution protecting the American River and opposing an Auburn Dam. The winners have been selected! Thanks for your help with the Fall Great American River Cleanup!! 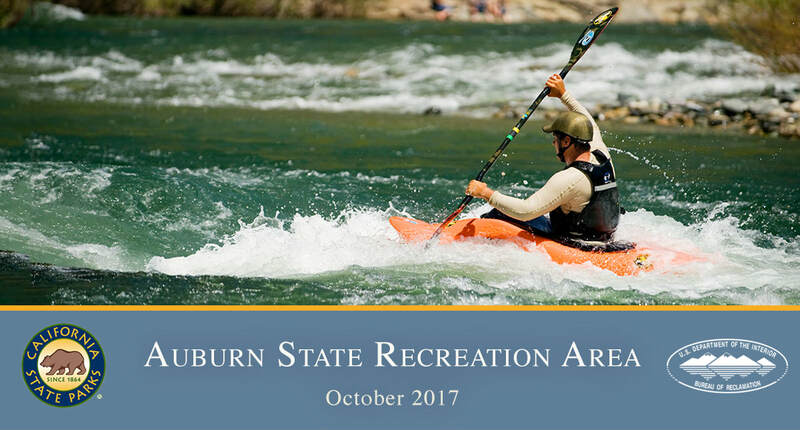 China Bar - PARC has submitted detailed recommendations for China Bar recreational improvements as part of the process currently underway to create a new general plan/resource management plan for Auburn SRA. Read more here. 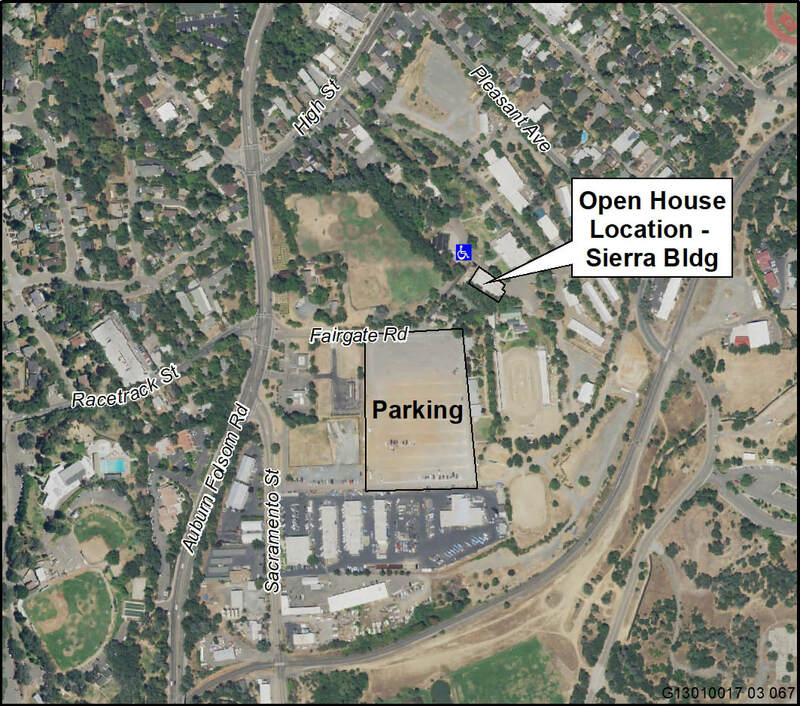 The public also has an opportunity to submit comments using the online survey that divides the Auburn SRA into eleven management areas with a final question regarding the balance of future resource protection and recreation development. The link to the online survey is: https://www.parks.ca.gov/?page_id=29768. Let’s make sure State Parks hears our wishes! Information on the alternatives will be available prior to the workshop on the Auburn State Recreation Area General Plan/Resource Management Plan website: www.parks.ca.gov/planASRA. In the meantime, please save the date and join us on December 7th. Please share this message with your friends, customers, and neighbors, so they can participate, too! 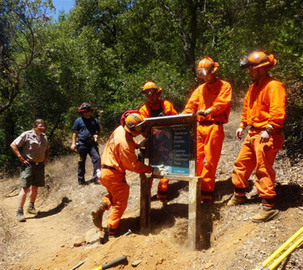 The Washington Ridge Fire & Work Crew installed a new Codfish Creek Discovery Trailhead sign complete with a self-guided interpretive trail brochure box. The sign was donated by PlacerArts, PARC and the Placer Land Trust.